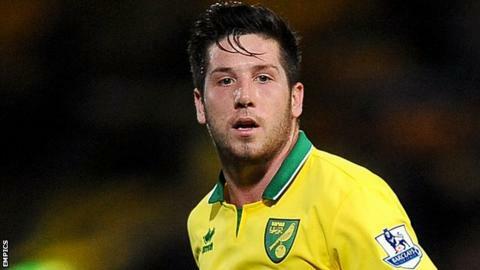 Norwich midfielder Jacob Butterfield will remain on loan at Championship club Bolton Wanderers until 5 January. Butterfield joined the Canaries from Barnsley in the summer. Meanwhile, Bolton defender Matt Mills faces a spell on the sidelines after picking up a hamstring injury in the on Saturday. The former Leicester man is expected to be out for two to three weeks. Freedman saw his side come from behind to lead at Huddersfield, only for them to be denied an away win by James Vaughan's late equaliser. The Wanderers boss told BBC Radio Manchester: "To put in such a wonderful performance and show the fans exactly how football should be played - as well as the desire and the effort that they put in - I'm disappointed for the players. "If they continue to play like that, the season will turn for them."